Now this is more like it. The wait for Steven Spielberg's adaptation of Ready Player One is almost over, and hearing the positive buzz out of SXSW has been unavoidable. That said, the trailers have left something to be desired as Warner Bros. struggles to find the right angle, choosing to lean very heavily on the nostalgia aspect. To me that was always the wrong approach to take, but this new and supposedly final trailer just about gets it right. 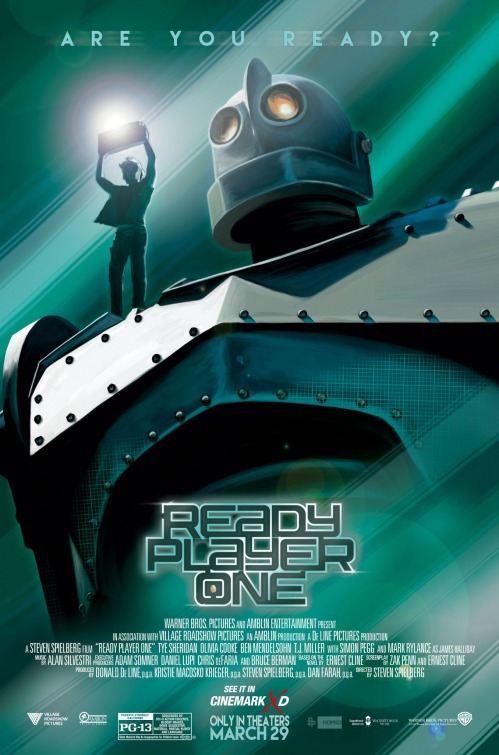 Also starring Mark Rylance, Ben Mendelsohn, Simon Pegg, Letitia Wright, and TJ Miller, Ready Player One opens March 23rd.